I’ve decorated a lot of pink trees in my day. I prefer them to green even. I think this might stem from the fact that I grew up in a pink house. Yup, just like John Cougar Mellencamp said. Except my parents was big, not little and looked like a birthday cake. I digress. ANYWAY – pink trees have a special place in my heart. 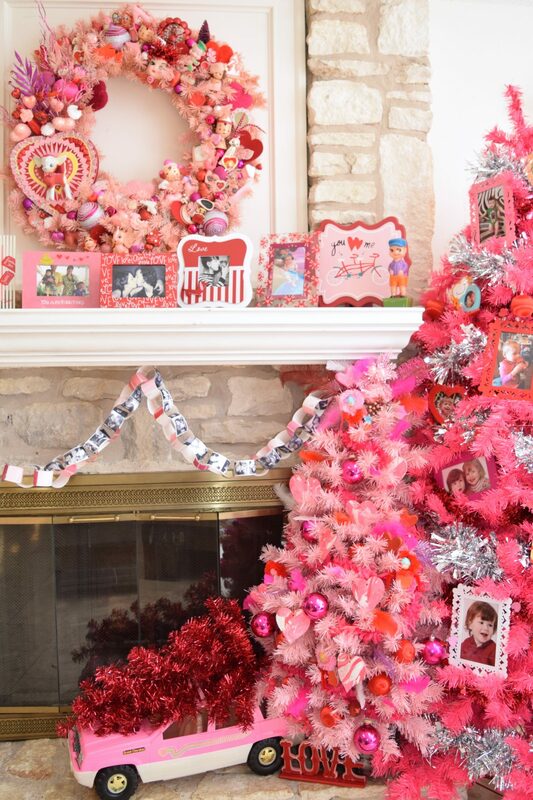 Pop over to the Treetopia blog to read an entire interview with little ole’ me about why I love decorating pink trees and why I love my husband Chris. PLUS you can enter to win your own trees. FREE STUFF PEOPLE. Ok before you click away let’s talk about all the pink trees I have loved before. Speaking of the Treetopia giveaway (ya, ya I’m their brand ambassador so I talk about them a lot. I really do love pink trees though. Fer realz). 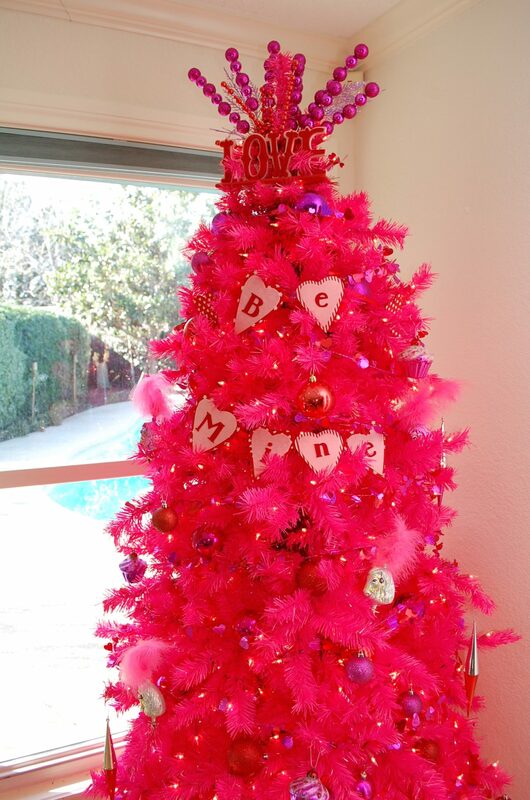 Did you see the adorable way Cathie Filian added marquee letters to her Valentine Tree? I love how she decoupaged them with glitter. Read her full interview here. 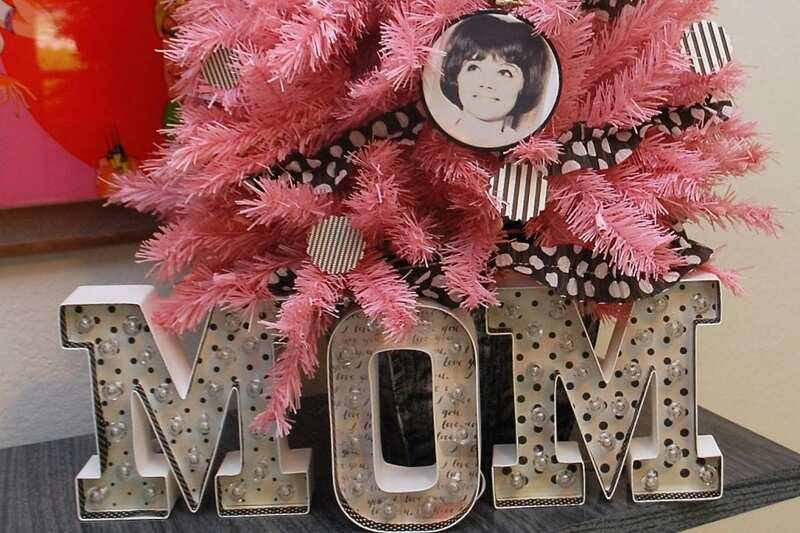 I had some Heidi Swapp letters as the ‘tree base’ on my Mother’s Day Tree Last year. These letters are so fun to use. One time at my old house I had a pink tree forest. See I told you I have loved over decorating for the holidays for years. Really I had this up for Christmas but with a few tweaks it transitioned beautifully into Valentine’s. I’ve worn many hats in my day. Somewhere between writing and publishing a feminist zine and becoming a Naughty Secretary and joining the Austin Craft Mafia I ran a record label with my husband called Has Anyone Ever Told You. 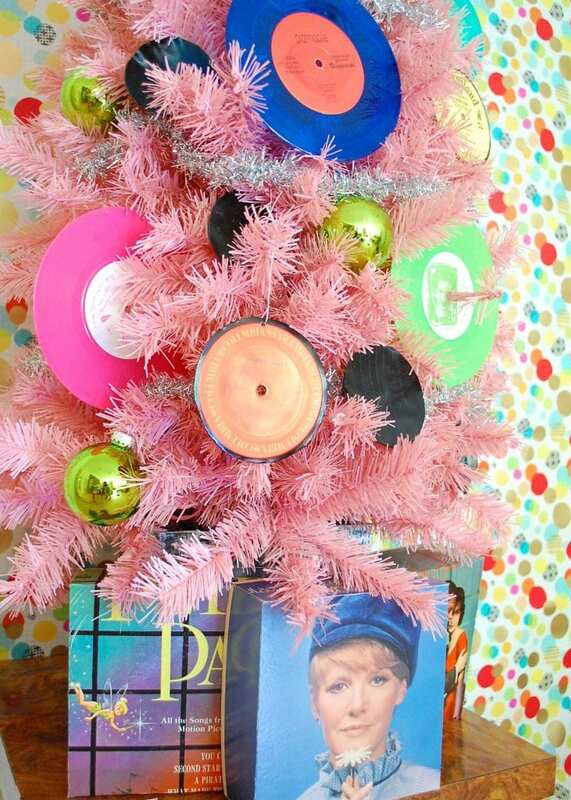 That being said the pink tree I decorated for Record Store Day has a real spot in my heart. Works great for the music lovers Christmas home too according to DIY Network. I leave you with a picture of my 2015 Valentine’s Day Tree. You can see why it hurts my soul to put this thing of beauty into a closet after Christmas. You have to extend the love. I’m already planning Easter trees and beyond! Hope you enjoyed my trip down pink tree memory lane. 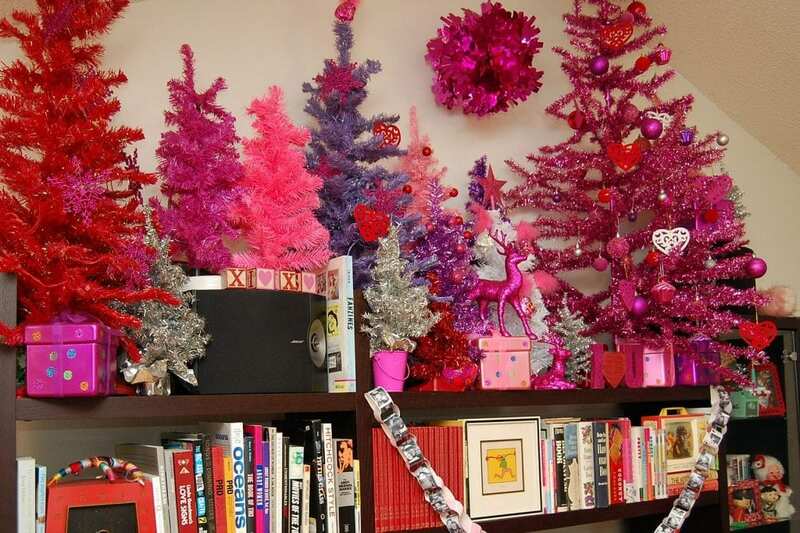 I didn’t even go into all the pink at Christmas (and Easter and pink flamingos in July) Do you have a pink tree? Do you decorate for Valentine’s Day? Don’t leave me hanging. Posted February 4, 2016 & filed under Holidays, Valentine's Day.